Tony Lossano, etc. : TV Re-imagined! 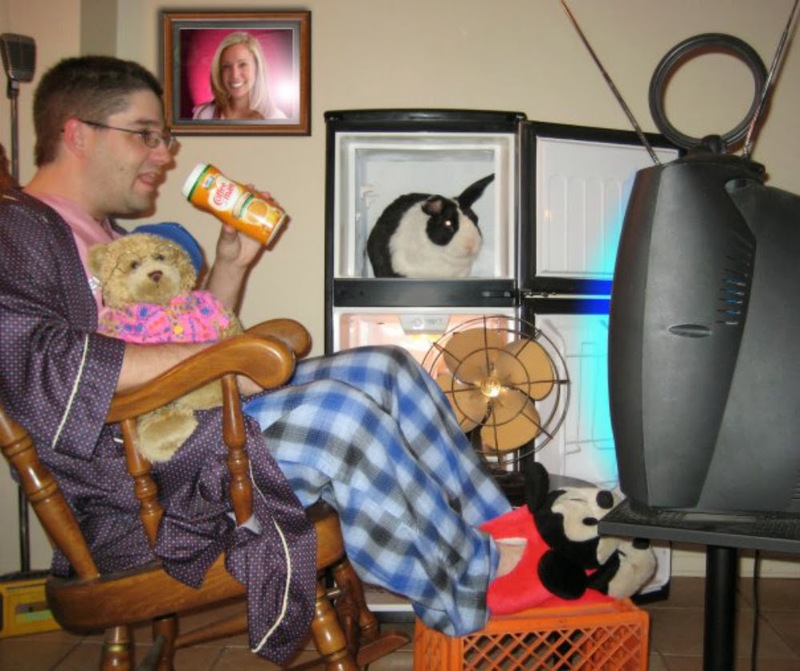 I was called a "TV Bug" while growing up watching appointment television programs. Nowadays, I am binge-watching entire TV seasons in a single day. I am not sure what they call that, but I am sure that it includes being sent off somewhere for some help. 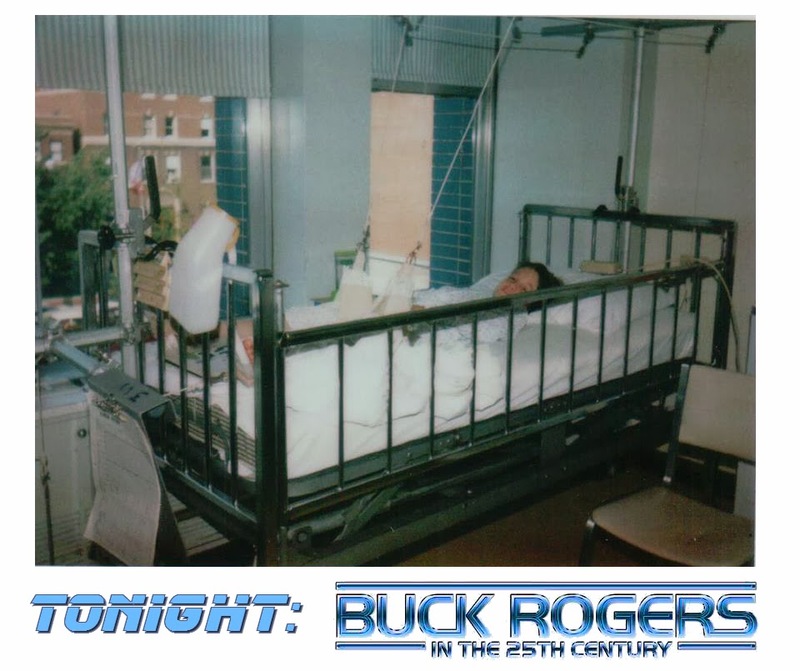 When I was 8 years old, I was in the hospital for a few weeks, and early on, I had a major fit, because my nurse, Janet, insisted that I should go to sleep at 8 pm. I was not going to miss the final new episode of Battlestar Galactca!!! OK, I know this is the newer series, but I really liked both versions! 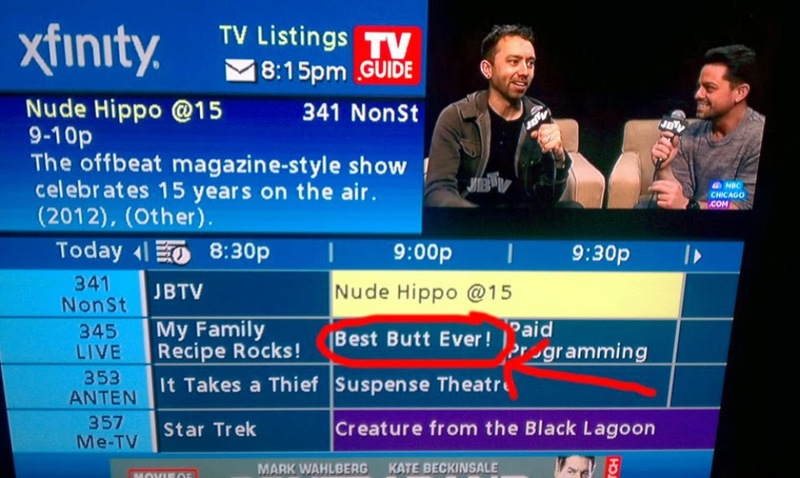 My TV viewing is what I remember from my hospital stay. 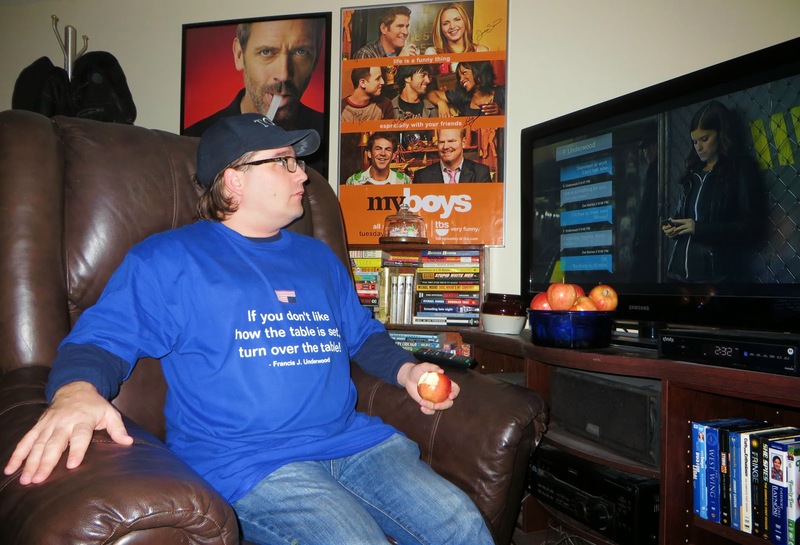 I had to make my case why I couldn't miss watching an episode of my new favorite TV series. It wasn't like I could watch it the next day on nbc.com, or when I got home, on my TiVo, or catch up using OnDemand, or get it on a DVD from Netflix, or pick up a VHS copy from my my local video rental store. You see this was 1979, and if you missed an episode of something, you had to wait months before a rerun, and good luck catching the exact episode that you missed. Then on May 4, 1980, I was at Waveland Bowl, as my mom bowled in a weekly league. That particular night, I will never forget, as that was the night I snuck into the bar. 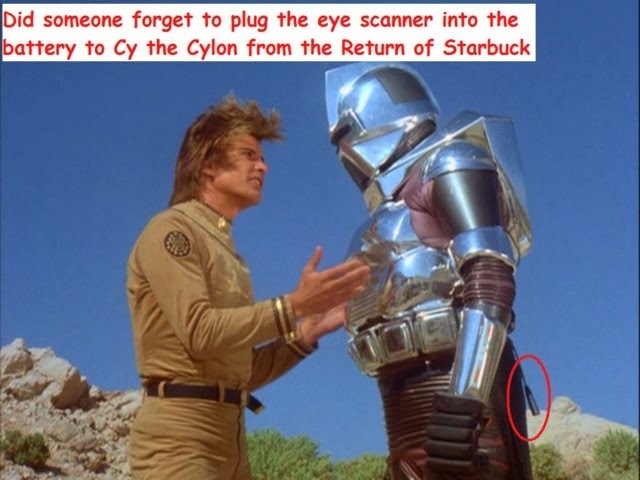 Most kids would have a story like this, involving the quest for a beer, but not me, I was there to watch Galactica 1980 on the TV. It was playing on the TV. So, I went into the poorly lit room and sat under a table. I was ecstatic to be able to watch Starbuck return. Sadly, this also became the final new episode of the series. A few years later I discovered reruns of Soap, a sitcom mocking the kind of stories seen on daytime soap operas. I liked the show so much, that I taped each episode, entirely on audio cassettes. This was before I had a VCR. By the time when I did got a VCR, I immediately started recording a new sitcom on ABC-TV, Who's The Boss?. Even though I taped every new episode, I still insisted on watching them as they aired, each Tuesday night. My family had to work their schedule around my weekly visit to the Bowers household, (even though, I was really there to see the Micelli's). Back then, one of my classmate once refer to the girl who played Tony Danza's daughter on the show as Melissa Malone. I am not sure whatever happened to that girl, I just know that I have never been married to her. 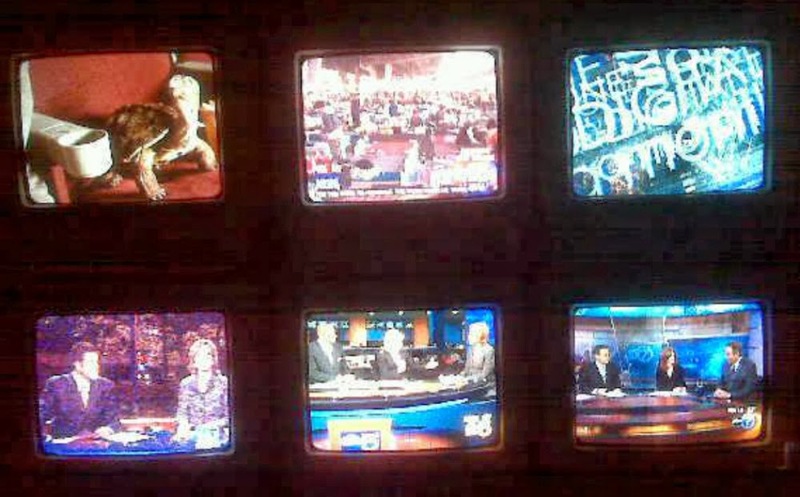 For awhile, I had a wall of televisions in my place so that I can watch even more TV! Watching TV these today is totally different. Breaking Bad at the end, was an event series that everyone watched together. However, it was really saved by people catching up with the series on Netflix. Then there is the The Big Bang Theory. I have been catching up on this series, by DVR-ing it everyday & night. It is on CBS, TBS, and MY 50. The episodes are all out of order, but I am semi-bingeing on this one whenever I can. Not only have I been a viewer, but for over 15 years, I even produced my own TV show! Look at what we were up against! I missed 30 minutes of my own show because of this! Below is one of my favorite moments on TV. From Sports Night, William H. Macy, without any shame, schools a couple network executives on who was Philo Farnsworth, the man who invented TV! On Valentine's Day weekend, I binge-watched the entire second season of Netflix’s House of Cards. That is one of the ways that I watch TV now. When I was younger, I could never have imagined that I would be able to watch a TV show, whenever I wanted, (except that I actually did predict this one)! I liked this show so much, I made my own t-shirt, with a quote from Frank! I am not just watching shows on Netflix, but Hulu, YouTube and most recently Transparent, on Amazon Instant Video, starring Jeffrey Tambor, Judith Light and Amy Landecker, (Hmm, I know that name from somewhere). So is the idea of "event TV watching" over for appointment watching programming? For most shows, perhaps, however, I can tell you when the promo for the reboot of Hereos Reborn aired during the Olympics, my twitter account went nuts. I know that I am cautiously excited. I loved the original run, back in 2006, before it totally imploded on itself. I am ready to give it another chance.